Incredible stuff, Dammitt! The epics pool will soon rival even that of Titan Quest at this rate. And speaking of epics, glad to see we're getting more precious, precious sets. I do wonder though why this one has not yet been implemented (as in, onto Shalie's DB and attainable at level 70)... aside from looking complete* - with artwork and all - it looks freaking badass! *I can only assume this one is still being balanced against similarly-leveled legendaries, etc.... though you could also do with making it so that all four pieces of the set read either Flamekeeper's or Flame Keeper's (rather than interchanging between the two as is the situation currently). Updated to B28. Please note that although there are only couple new items, some items from the previous build (b27h2) have been updated, updates to existing items aren't tracked in the database atm. Quest items are still hidden for now. P.S. blueprints section was updated as well. Last edited by Dammitt; 11-25-2015 at 07:47 PM. Great thanks for the update at work i can at least see the changes made to the items. Updated to B28 Hotfix 1 (+1 item). 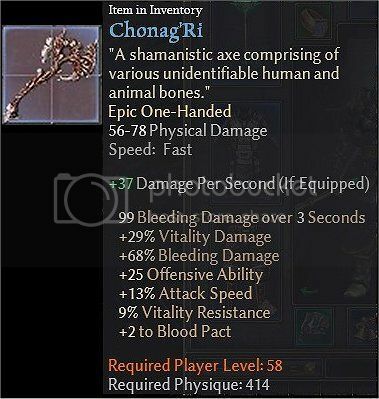 This item is in the database and it's been there for a while. No update for B28 Hotfix2, because it only includes nerf to pet damage which is not shown in skill descriptions. That's fantastic. Thanks for the update. Now I can take a look at all the new legendaries and decide which type of character I want to play. Updated to B29 Hotfix 1. I bet there will be hotfix 2 before the end of the year, because skills on a bunch of new items/sets are still broken. W7 x64, build works great. Thank you for making and updating it! Send a private message to .:Jj:. Find all posts by . :Jj:.